Procurious is gathering 40 of the brightest, most-influential figures across procurement, technology, and social media for the Big Ideas Summit on 30 April. We quizzed Tim Hughes, social media extraordinaire and Go to Market in the UK for Oracle’s Cloud Accounting and Procurement solutions on the future of the sharing economy, procurement, and technology. 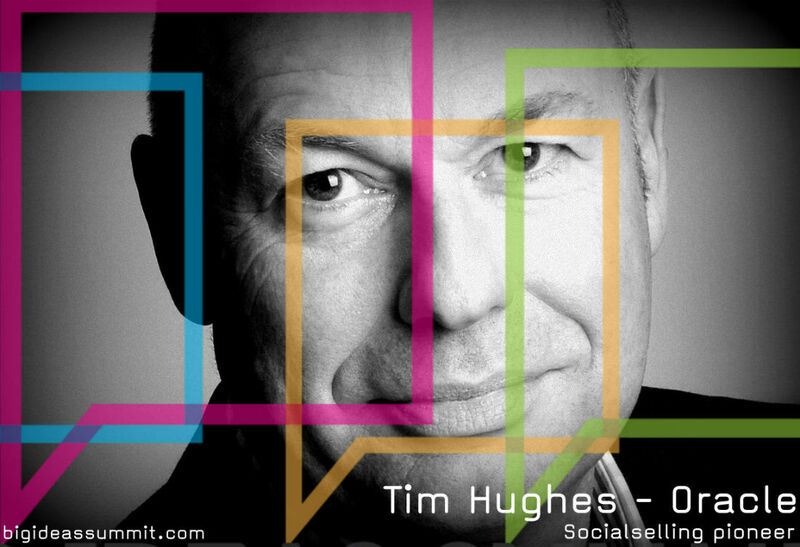 You can follow Tim @Timothy_Hughes on Twitter. Tim answers: It’s not a self proclaimed title, I’ve been called it many times. My background is 27 years in sales, so what I do (always) is try and push the Social Selling debate forward. How can I find new ways of using social and technology to forward an organisations sales strategy. At the end of the day, it is all about using Social Selling to enable a sales person over achieve their quota quicker. Last year I was mentioned in Forbes as one of the Top 100 Global Social Sellers, this year an Influence Marketing company, Onalytica, came up with a list which positioned me as the number 2 most Influential Social Seller Worldwide. The only person from the UK on that list. My Twitter @Timothy_Hughes has over 100,000 followers and my Blog https://timothyhughesuk.wordpress.com/ I’m told is a “must read” for people involved in Social Selling as it generates so many new ideas and debate. My most recent blog “Using Twitter to Make C-Level Meetings” went viral. Something I am very grateful for. Tim: On my blog I provide written materials and webcasts where I talk about the 5 Pillars of Social Selling to offer organisations a strategy. In terms of day to day things you can do, here are 5 suggestions. People need to have a “Buyer Centric Profile” on LinkedIn. People need to Identify their customers and Influencers. Build Relationships and Engage. Don’t Spam! Tim: I’ve not used them myself, but I’m sure they can. You always need to go to where your audience is more comfortable. With C-Level people now being on Twitter and LinkedIn, they is no reason, why a brand or a sales person does not stream video. For example, a user conference, demonstration or webinar. Video is becoming more and more a medium that people are comfortable with. I’m currently working with a sales person to use video for demand generation as inmails on LinkedIn and emails don’t get the right traction. The Oxford and Cambridge Boat Race last weekend used Snapchat, so why not look at new ways to reach your audience or even reach a new audience? Tim: SMACT (Social, Mobile, Analytics (Big Data), Cloud, Internet of Things) are the main disrupters I see right now. People except to come to work and access systems the way they do at home, via mobile and for them to have the same “look and feel” as Facebook. This is causing major disruption to people that have IT systems that don’t support this. To that end, we are seeing that IT departments just cannot keep up because of the speed of innovation, that is where they are pro-actively using public cloud to support the business. People are moving away from text to visual content. Photo and video. Instagram is the big platform for people and brands right now. At a recent procurement event I attended somebody said they couldn’t see how Instagram was relevant and I said, why send out an RFP, why you could post a photo on Instagram and say “who can supply me one of these?”. Tim: Gamification should not be a “shoot from the hip” solution. Different people react to Gamification in different ways. While many of us are naturally competitive, often people will just “take our bat and ball and go home”. It has been used for years by Tesco (Club Card) and Sainsbury (Nectar) to enable them to understand customer behaviour. I’ve used it in the sales environment for cold calling days, I’ve also used it for Demand Generation via social media (See my blog for details). Tim: 20 years ago us sales people were able to talk to who we liked in an organisation. Then people introduced all kinds of technology, like voice mail to stop us getting to company executives. I have a friend who last week made 12 appointments with C-Level people through Twitter. A number of us think it’s the “golden age” again. If executives (in any department) do use social media, how will they understand it? There was a theory it would just go away. It won’t. The argument around social media use in business and the ROI of social media was won two years ago. We use social media internally, it gives us Competitive Advantage and has increased employee efficiency by 25 per cent. Why wouldn’t you? Tim: The first thing when you get online is to breath. You don’t have to be somebody you are not, just be yourself. If you are using social media just to get a hang of it, then just do, post photos of what interests you; sailing, cars, book reading. If you want to grow your influence then be interesting, add value and engage. Find influencers and engage with them. Tim: Change will accelerate, as mobiles get faster, can hold more data and the battery live is longer. Wearables will move from watches and bracelets to be woven into the fabric of your clothing. Through the Internet of Things (IOT) everything will be connected to the internet and will collect data. The amount of data we store will get bigger and bigger. The decision making from this data will revolutionize society and the way we think and act. This is already being used by Netflix and dating sites. 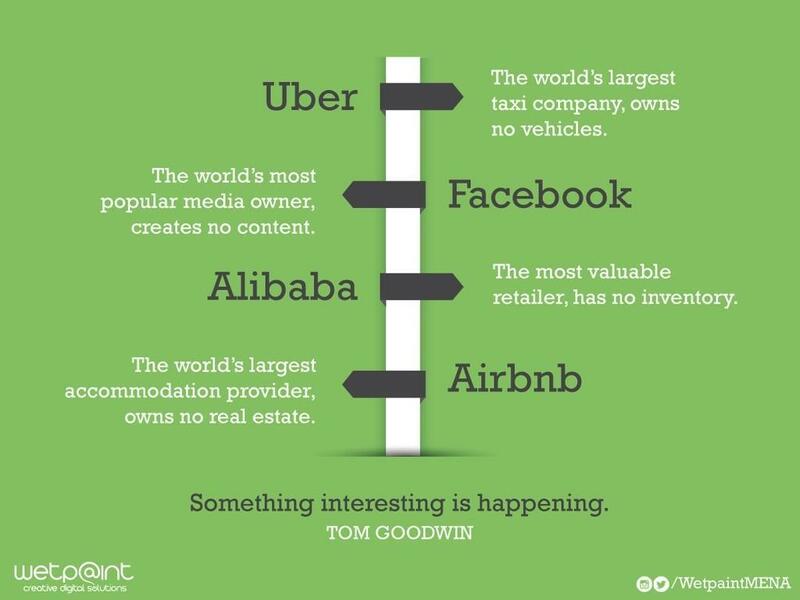 The Sharing Economy will move from the edges to be the “norm” with 25 per cent of the NASDAQ having disappeared already, more company will go as new entrants will take their place. Uber has no taxis, AirBnB has no rooms. The first question VCs ask start ups now is “What Industry will you Kill?”. 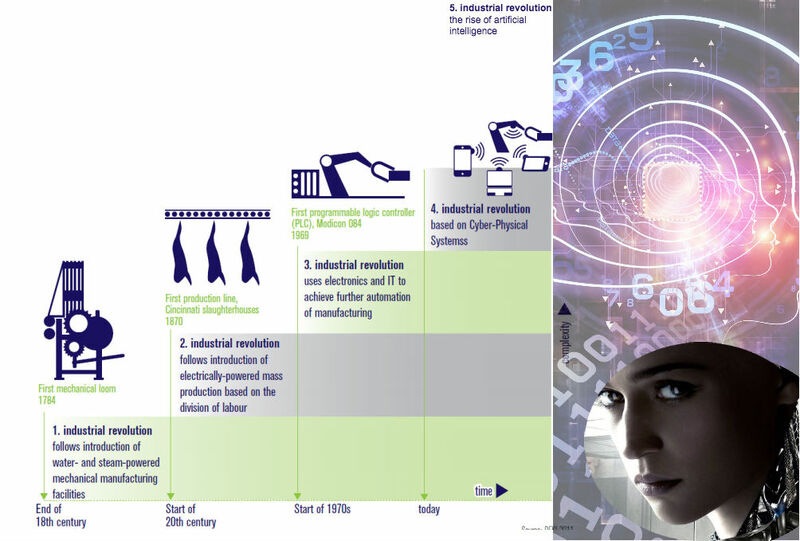 But this will all be surpassed by Artificial Intelligence (AI), while sensors are being seen as the fourth wave of the Industrial Revolution, AI is the 5th. 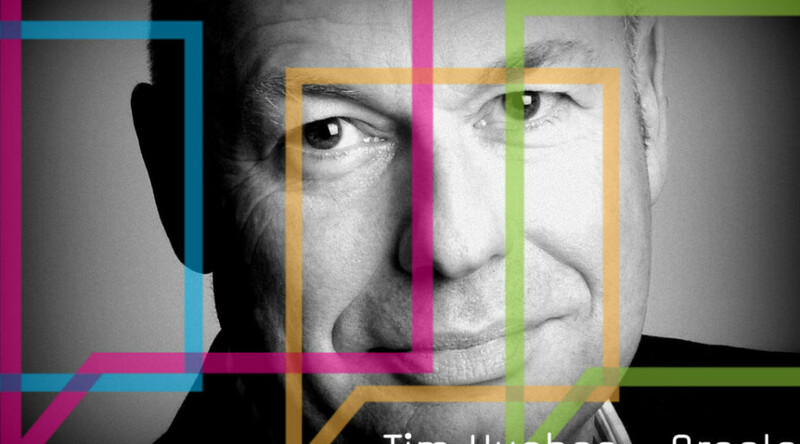 Want to hear what Tim has to say at the Big Ideas Summit? Follow along by joining this Group.